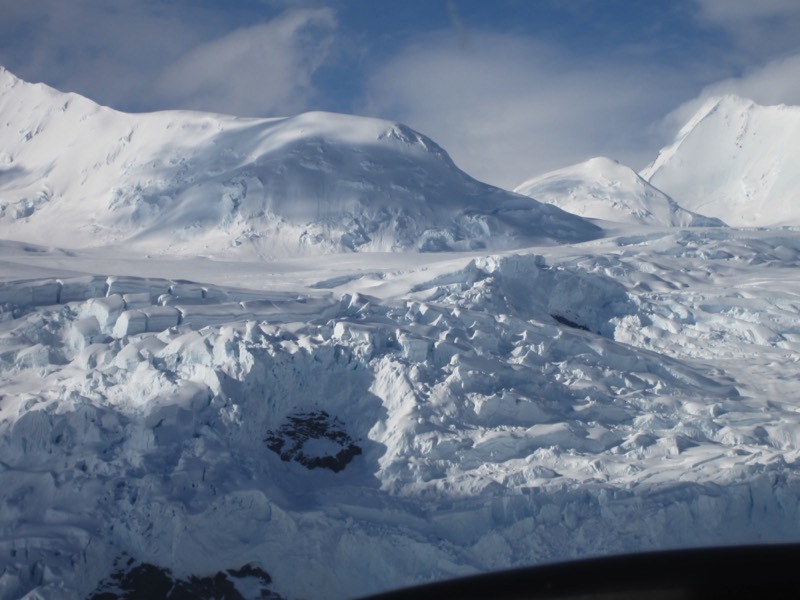 One of the biggest problems Alaskan travelers have is that they underestimate the amount of time it takes to get across Alaska. People find themselves pushing daylight (and there is a lot of it to push) to get to their destination. We have come up with three rules for you when you are planning your trip. 1) Give yourself three times as long to get somewhere (based on distance) as it would take you at home. 2) Stay at least two nights in every place – so you aren't continually packing, unpacking, and registering. This will allow you to get the lay of the land, meet people and have a more spontaneous, in-depth trip – because you aren't worrying about reaching your destination. 3) Pull over when you get tired. It may seem like simple advice, but the long daylight hours in Alaska can make it hard to sleep. Sometimes you'll find yourself up at three in the morning. Add to that the excitement of being in an interesting place, and you'll end up very tired after lunch. 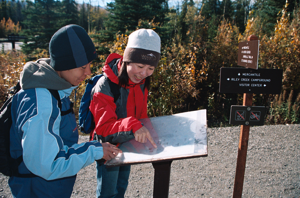 Help Others Have A Great Denali Adventure! 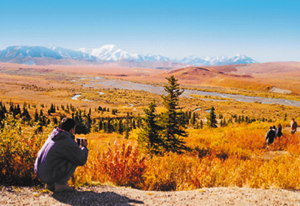 If you have visited Denali and would like to help others have a good trip – by donating photos for possible use in one of our Alaska internet travel guides or printed publications – email the photos with a description of things you enjoyed doing to: ncountry@gci.net. 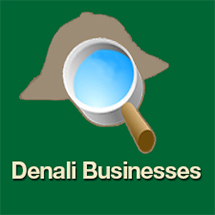 Denali Summer Times In Print - Now In A Mobile Friendly eBook - Just Click Below! 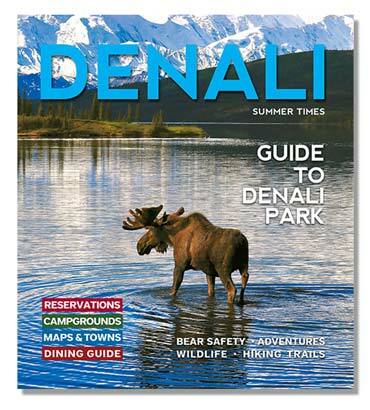 Look for the most current Denali Summer Times Print Edition which will be available in May and is free at the airport, car rentals and at businesses and visitor centers across the state all summer long. 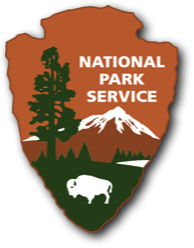 You can press this logo in the page sidebars to go to the Denali National Park Service Website. 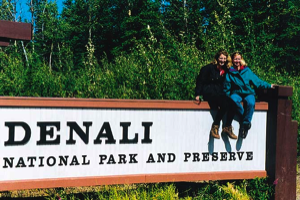 You can press this logo and find out where you can stay, options for eating out and all the different adventures you can have that will make your visit to Denali unique and memorable. The entrance sign has a pull-out where you can take your picture. 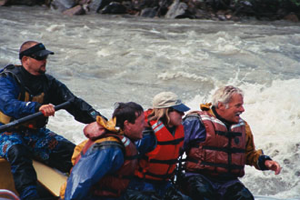 The Nenana Canyon has great rapids for exciting raft trips. You can't see Denali from the entrance but if you drive to Mile 9 of the Park Road you may catch a glimpse of "the mountain." 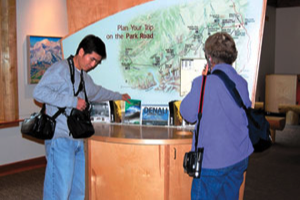 The Denali Visitor Center is about a mile down the Park Road just past the Roundabout. 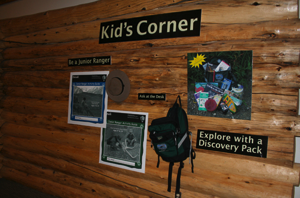 Denali Park is very exciting for kids 7 to 14 years old. Want to get your teenager to pay attention? Take a rented bike on a camper bus, then get out and bike the Park Road with the bears! Signs & maps in the entrance area tell you where you are.